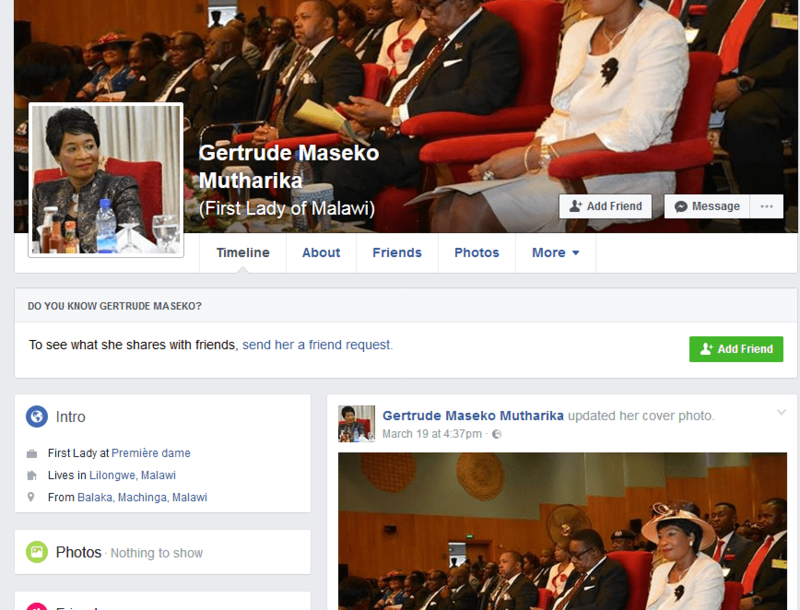 State House has openly disowned the facebook account purportedly to be that of the country’s First Lady Madam Gertrude Mutharika, saying the account is a fake. The development follows report that some people are using the page to solicit money and donations from prominent figures in the in the country in the name of Madam Mutharika. 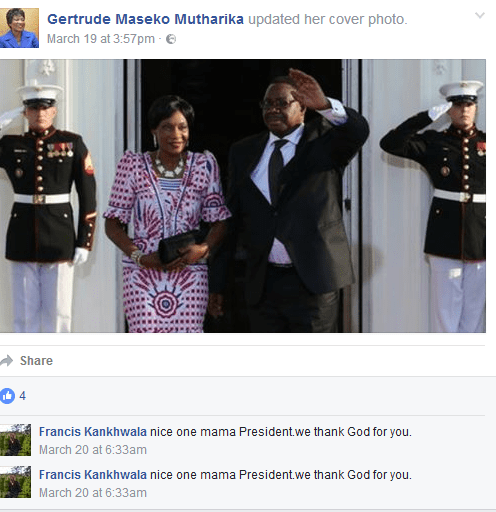 Reacting to the news, State House issued the statement disowning the page, saying Madmam Mutharika not have a Facebook account or page. “Any page bearing her name is bogus and run by criminals with the aim of defrauding and misinforming people,” reads in part the statement. State House has since strongly condemned the criminals in question, saying that investigators and law enforcing agencies are hunting for the perpetrators.